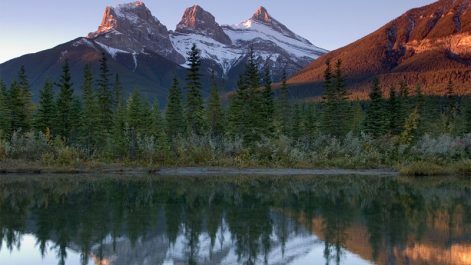 With breathtaking scenery, spectacular mountain ranges and friendly towns to visit, there are so many reasons people are drawn to the natural beauty of the Kootenay Rockies. Whether your passion is hiking, cycling or paddling, you’ll want at least four days to explore these unforgettable destinations on the Great Trail! Inspired by our friends at Destination B.C. Get your bearings and explore the City of Nelson trail once you’ve arrived. Starting at Mountain Station, follow the short dirt road before strolling through the city’s paved streets (pro tip: this is mountain country, so you’ll want footwear appropriate for some steep inclines). 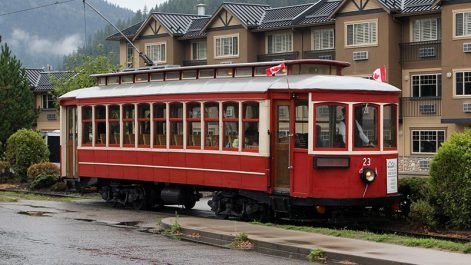 Be camera-ready as you discover the rich heritage of Nelson, including the city’s historic tramway, Rotary Lakeside Park and Nelson City Hall. 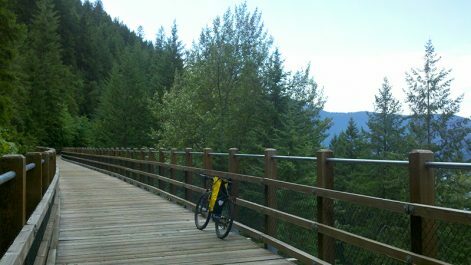 If you have time, rent a bike from Gerick Cycle and Ski and explore the family-friendly Great Northern Rail Trail. This 48km-long abandoned railway is easily accessed from Mountain Station, and ends with a beach at the end of the downhill ride. Where to stay: The Hume Hotel & Spa is a cherished Nelson landmark and has been one of Nelson’s finest hotels since opening in 1898. A haven in the heart of the city, this hotel emulates the time-honoured tradition of hospitality that began with J. Fred and Lydia Hume, its original owners. The All-Seasons Cafe on Herridge Lane offers delicious and seasonal locally-produced food and wine. For after-dinner drinks, check out The Lion’s Head Smoke and Brew Pub. This Tudor-style bar is proud of its B.C. connections, with one of the best selections of B.C.-brewed beer in the region. 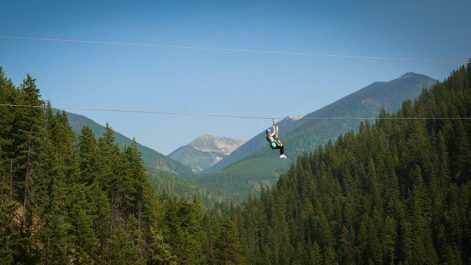 After a hearty breakfast, brace yourself for a day of fun and frolics at Kokanee Mountain Zipline! A day of ziplining starts small with a 90-foot warm-up line. Visitors then work their way through six unique zipline experiences, before finishing with a mind-blowing 24,000-foot cross-canyon ride! Feel like something more serene after that adrenaline rush? 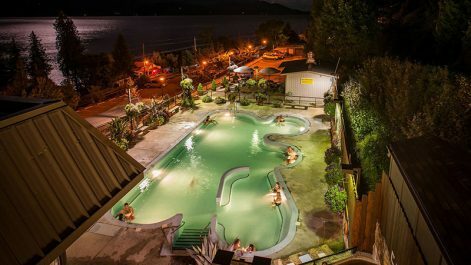 Consider spending the afternoon enjoying the healing power of the Ainsworth Hot Springs. A rejuvenating and soothing experience locals and visitors have been enjoying for years. The soothing mineral waters are heated naturally, thanks to geothermic activity that flows underneath. Since ancient times, the hot springs have been steeped in Indigenous culture and legend. The Ktunaxa people regularly visited this beautiful site to treat everything from battle wounds to arthritis. End your day with a short ferry ride from Balfour ferry terminal to Kootenay Bay, before checking in to a local hotel for the night. Perched on Crawford Bay, Kokanee Springs Golf Resort is home to one of B.C.’s best golf courses. It’s also a stunning and secluded getaway option for stays in this beautiful region, boasting both standard and luxury cottages. 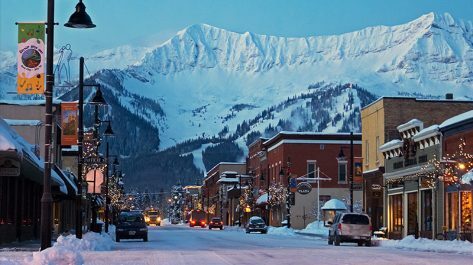 Head east towards the picturesque mountainous town of Fernie. The drive takes 3 hours and 30 minutes, but you’ll want to give yourself plenty of time for pauses along this scenic route for stunning Instagram-worthy rest stops! 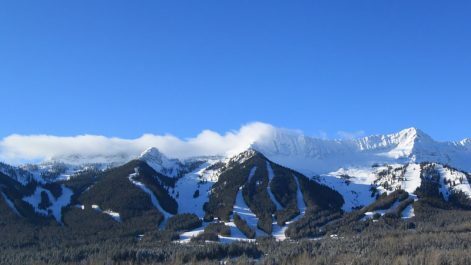 After the long drive, get some fresh air at Fernie Alpine Resort for more outdoor adventuring. The resort’s aerial park is a unique way to get back to nature, as you explore wire rope bridges, hanging platforms, suspension bridges, boardwalks, rope traverses and much more hidden among tall trees. 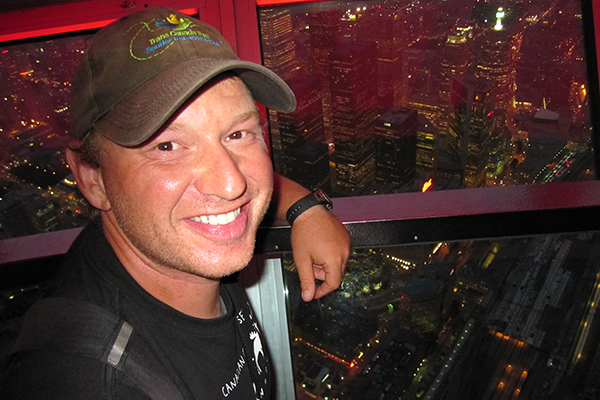 As activities increase in difficulty, get out of your comfort zone and test your limits. When your rip-roaring day has come to an end, stay at Island Lake Lodge. Nestled in an enchanting old-growth forest and a serene mountain lake, this 7,000-acre rustic property is perfect for anyone looking for challenging hikes or short strolls. After breakfast, enjoy an early morning hike. The pristine wilderness surrounding Island Lake Lodge is ideal for natural exploration, and features stunning views of the Lizard Range and the Three Sisters mountains. 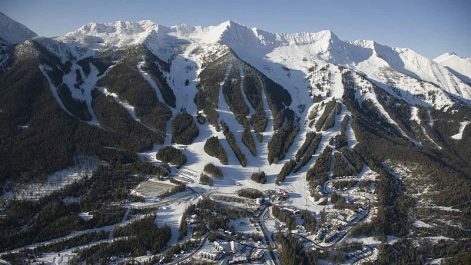 For outstanding views of Elk Valley, a part of The Great Trail, float through Fernie with Mountain High Adventures. The perfect choice for rafting newbies and young families, this scenic floating tour takes in the landscapes and wildlife of this beautiful area. As the sun begins to set over the highest peaks of B.C., join the Trail again and explore the city of Fernie. The historic, mountain town is a fascinating mix of grand buildings and modern design, creating a charming and funky vibe. The vibrant and colourful downtown area is a must-see! Before your high-adrenaline trip comes to a close, enjoy delicious and casual European fare at The Bridge Bistro, taking in the breathtaking panoramic views, while perched on the bank of the majestic Elk river. Fly to West Kootenay Regional Airport in Castlegar to start your adventures on the Trail in the Kootenay Rockies. The city of Nelson is 30 minutes away. Depart by flying out of Cranbrook Airport, an hour and 13 minutes from Fernie.